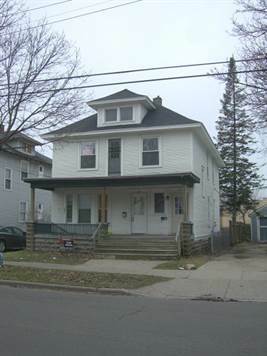 Grand Rapids, Plainfield Township - This rental unit is in great shape! Investors take a look at this one first and compare to the others--when compared..this one WILL be at the top. If you love all the classic hardwoods then you need to get into this unit. The upper unit is a 2 bedroom and the bottom unit is a 3 bedroom. The bottom unit is rented and approved for section 8 housing. Electric is separate for each unit. The whole unit has all new replacement windows and several new doors. Your renters also have a garage to park in. Looks like a great investment for short sale agents to look into and offer to their clients.